The house on the cliff edge known locally as ‘Spooky House’ or even ‘Haunted House’ was built about 1885. The road was especially built to enable access to the house and was initially known as Seafield Road; later it became Merley Road. The house was built as a summer residence by Brinsley de Courcey Nixon (5 May 1825-18 April 1903) whose occupation on the 1881 Census was a ‘banker’ from London. Of Irish and Scottish descent he was born in Edinburgh and died in 1903 whilst on holiday at Seafield. There were 4 children from his marriage to Frances Evelyn Hampton – Charlotte; Gladys; Fergus and Brinsley (1884-1971). He entered the house of Messrs W R Robinson and Co. Russian Merchants, London but because his interest was in studying other habits, customs and resources of European nations, as well as the American continent, considerable time was spent abroad. He was one of the founders of the London and Provincial Bank and for several years, an officer in the West Somerset Yeomanry. He stood as a Liberal politician, first at West Bristol, but on the introduction of the Home Rule Bill, he seceded from the Liberal Party and contested Dundee as a Unionist. He was unsuccessful in both campaigns. The Spectator described Mr Nixon as an ‘upright and straightforward politician, if ever there was one’. In 1906, the youngest son, Brinsley, married Elizabeth Hughes who was born in the Ukraine, and spent much of her younger life in Russia. On marrying, she lived at Seafield with her maid and he visited her once a week preferring to live with his sister in Bay View Road. During the war years the house was accommodation for British officers and the field became a prison for Italians, though Elizabeth was horrified at Seafield being requisitioned and painted grey. She would walk from Diddywell each day to see the house. Elizabeth died on 13 March 1950 with the service being held at Holy Trinity Church, Westard Ho! and conducted by the Vicar of Northam, Rev. E B Bridger. A private cremation was held at Plymouth. Seafield House was put up for auction at the Tantons Hotel on Wednesday 31 May but was sold by Private Treaty. 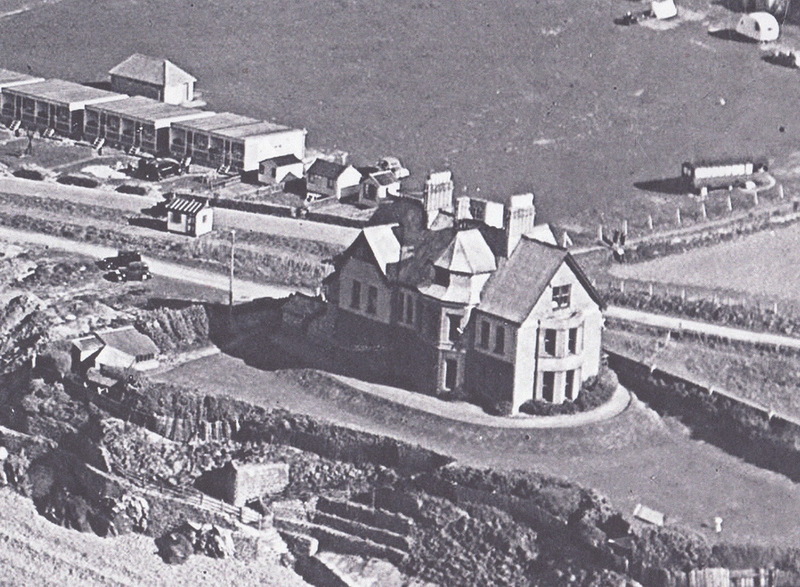 In the early 50s, it became a bed and breakfast establishment.